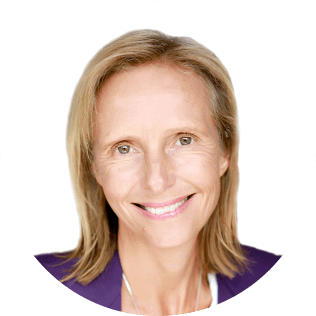 Carole founded Full Potential Group, one of Europe’s longest-established and most highly-regarded leadership and people development specialists, which works with companies such as AkzoNobel, Diabetes, Fitch Ratings, Harrods, Panasonic, Starbucks and Tesco. She is a highly-acclaimed coach, inspirational speaker and best-selling author in the field of people and leadership development. She has made numerous TV and radio appearances and is a regular contributor to business, national and consumer publications. A key-note speaker, leadership facilitator and coach to senior business leaders and their teams, Carole helps them reach their full potential and to create high-performance cultures within their organisations. She is author of global best sellers ‘Transform Your Life — 10 Steps to Real Results’ and ‘Your Pocket Life Coach’ and two specialist books: Full Potential Leadership — a Provocative Call to Make a Dramatic Difference and Full Potential Coach — Transforming People’s Potential into Results. Carole has delivered keynotes at conferences in the UK and internationally, including CIPD in UK and AsiaPacific, worldwide investment conferences and Vistage CEO groups. She has spoken for clients including Ageas, Alzheimer’s Society, Harrods, Heinz, Hilton Hotels, Lend Lease, Mercer, Nationwide Building Society, Starbucks, Tesco, VW Group, William Hill and United Utilities, along with a variety of SMEs throughout the UK. Carole will share an introduction into two of the most insightful new tools available to make more of a difference with your coaching clients – Neuro-agility and Motivational Mapping. Neuro-agility: helps people do things Simpler, Better, Faster – they improve their performance by Being More Neuro-agile. People who are neuro agile have the flexibility to learn new skills, attitudes and behaviours faster and more easily. Coaches can learn how to boost brain fitness by accelerating the 6 drivers of brain agility and leveraging the 7 factors that make up a person’s unique neurological design, which dramatically improves their performance, productivity and wellness. How many of your clients really know what motivates them? Carole will explain the roots of motivation and help you to understand your own and your client’s motivational drivers. This has far-reaching implications for energising ourselves as well as step-changing the impact a coach can have when they know the motivational hot buttons of their coachees – relighting the fire within. Carole will share powerful insights into two of the most valuable new tools available to make more of a difference with your coaching clients – Neuro-agility and Motivational Mapping. Neuro-agility: helps people do things Simpler, Better, Faster – they improve their performance by Being More Neuro-agile. People who are neuro agile have the flexibility to learn new skills, attitudes and behaviours faster and more easily. Coaches can dramatically improve their impact by learning how to boost brain fitness by accelerating the 6 drivers of brain agility. You’ll also gain an understanding of the 7 factors that make up a person’s unique neurological design, which can significantly improve their performance, productivity and wellness. With engagement and motivation levels at an all time low, the sad fact is that less 50% of people are accurate about what really motivates them. Sometimes values exercises are just not enough. Motivational mapping, created by James Sale, provides groundbreaking insight into how to measure, map and improve anyone’s motivation. Carole will explain the 3 fundamental roots of motivation and help you to understand your own and your client’s unique mix of 9 motivational drivers. You will learn how to rank your motivators in order of importance and measure how well each one is met. This has far-reaching implications for energising ourselves as well as step-changing the impact a coach can have when they know the motivational hot buttons of their coachees – relighting the fire within.